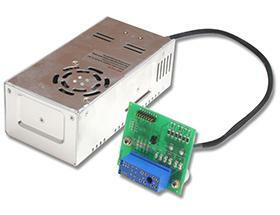 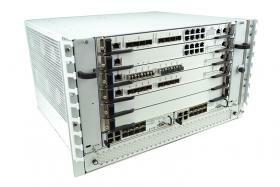 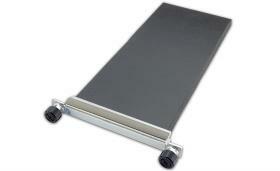 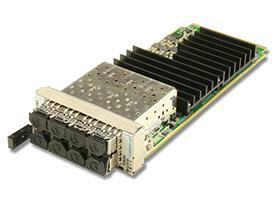 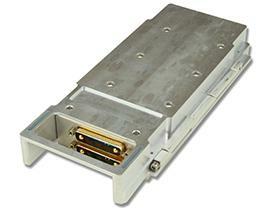 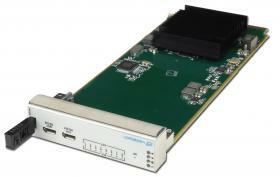 The AMC597 is a wideband transceiver in AMC form factor. 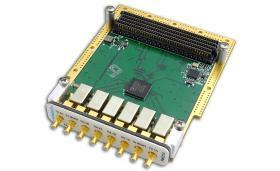 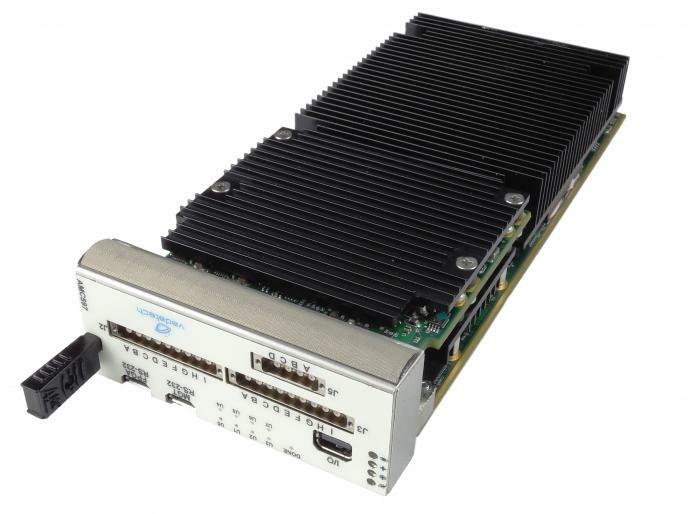 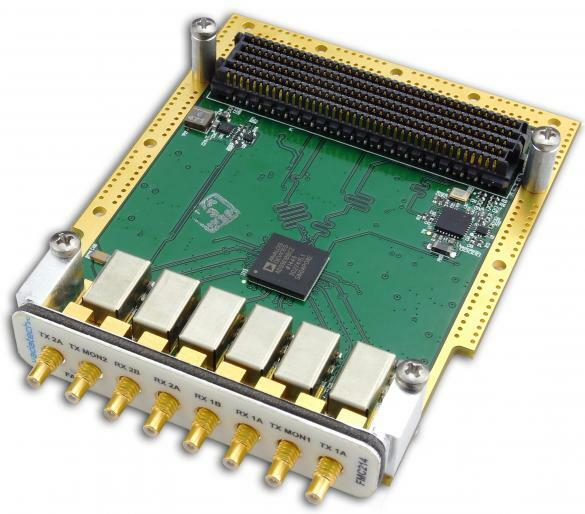 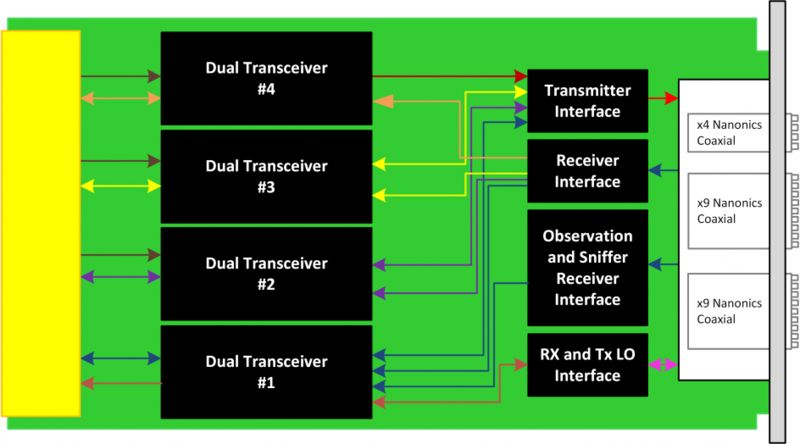 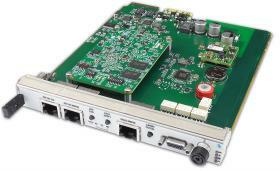 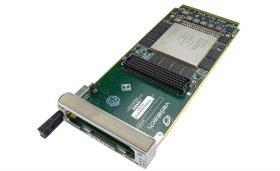 The AMC utilizes four AD9371 connected to a Kintex UltraScale™ FPGA providing eight transceivers channels making it suitable for signal SDR, BTS, antenna systems, research and instrumentation. 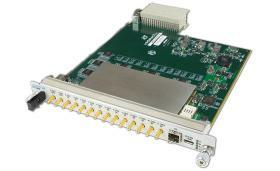 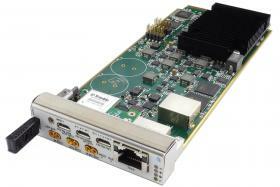 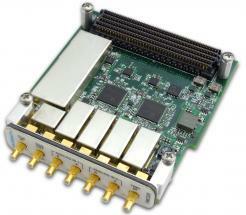 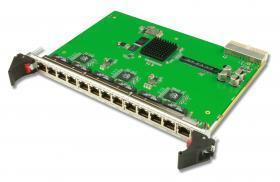 The on-board re-configurable UltraScale™ XCKU115 FPGA interfaces via JESD204B directly to wideband transceivers. 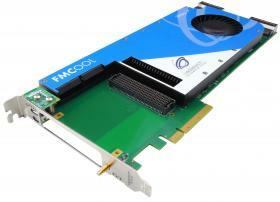 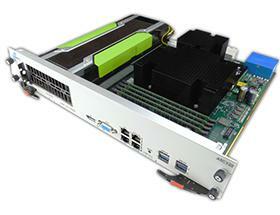 The FPGA has interface to three banks of DDR4 memory. 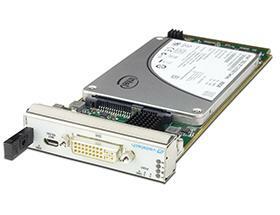 This allows for maximum buffer sizes to be stored during processing as well as for queuing the data to the host. 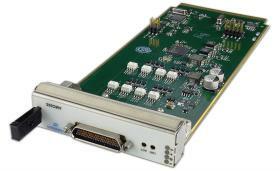 VIDEO: AD9361 integrated solution from VadaTech: This video provides some example of demodulation of a GSM signal in the GSM900 band with Analog Devices AD9361 embedded in VadaTech FMC214. 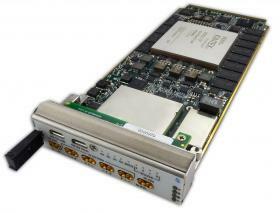 This video also includes reference of VadaTech DAQ Series™ wrapper around ADI software configuration tools for AD9361, AD9371 and AD9375 embedded in both AMC, VPX and FMC form factor. 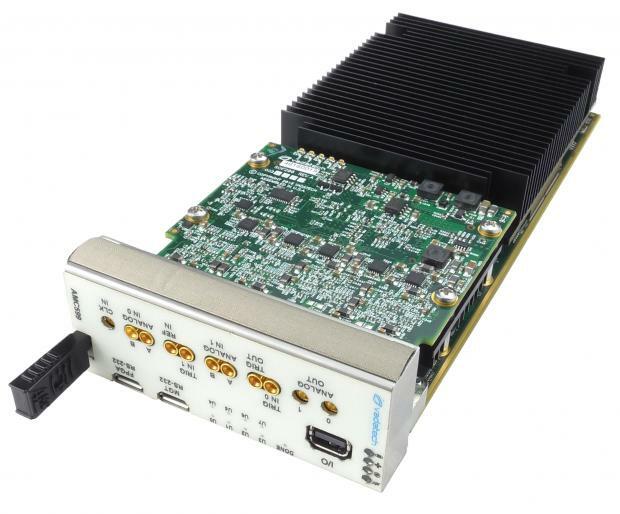 VIDEO: Vadatech ADI Offerings: This video introduces the advantages of using VadaTech to build your new products embedding Analog Devices digitizer and converters.